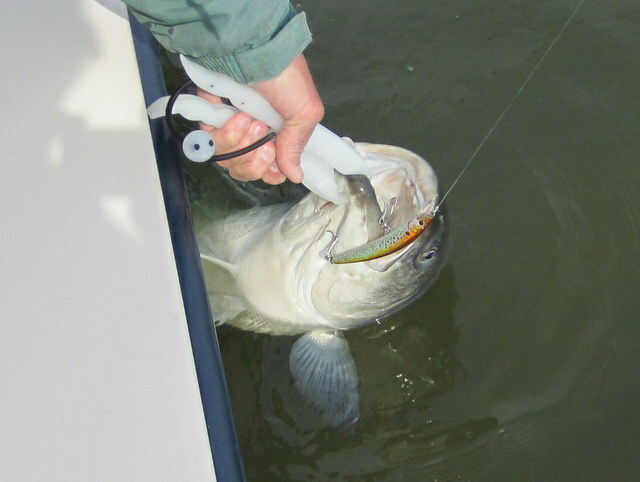 Believe it or not, I am already receiving calls about the 2014 Susquehanna Flats Catch & Release Striped Bass Season. 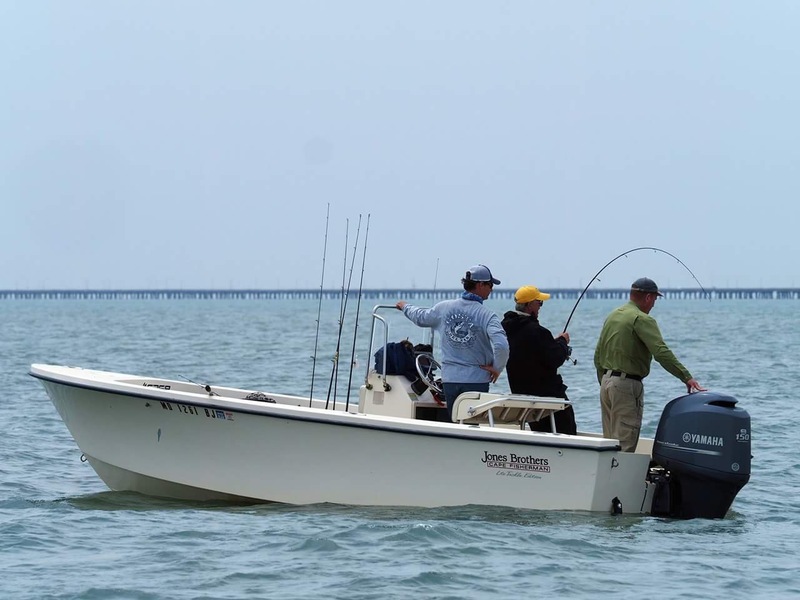 For those of you who have yet to fish the flats with me, I keep my Jones Brothers Cape Fisherman docked at the Havre de Grace City Yacht Basin for several weeks each April. 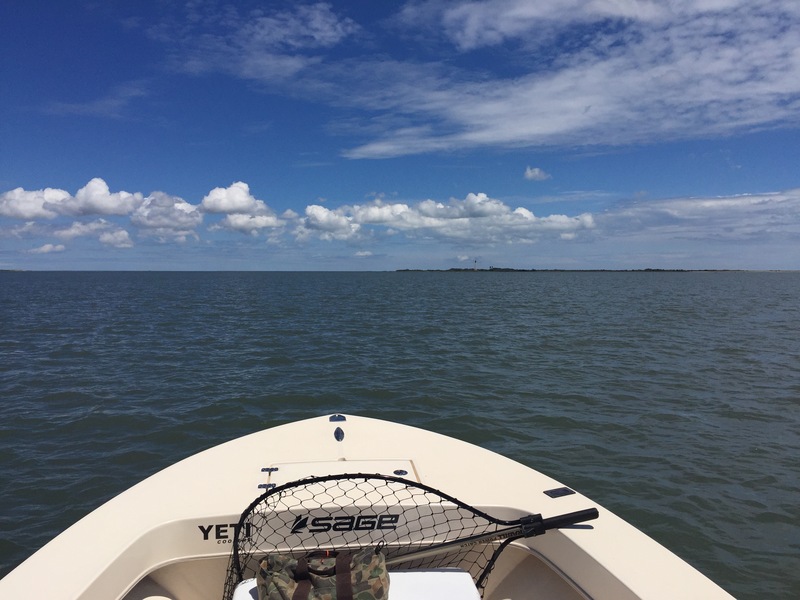 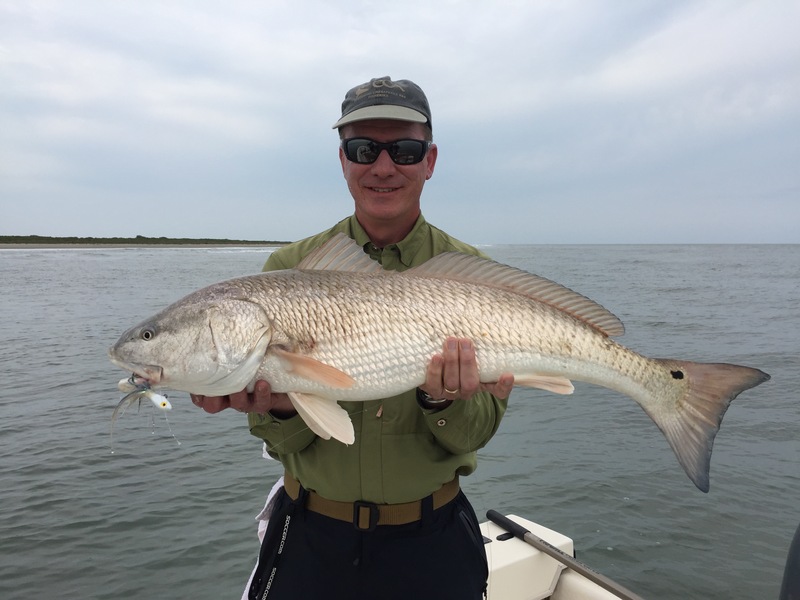 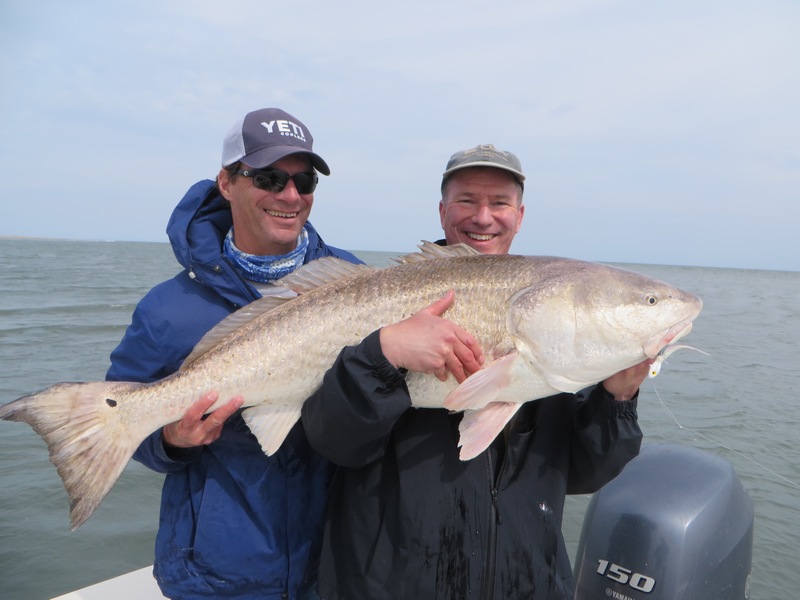 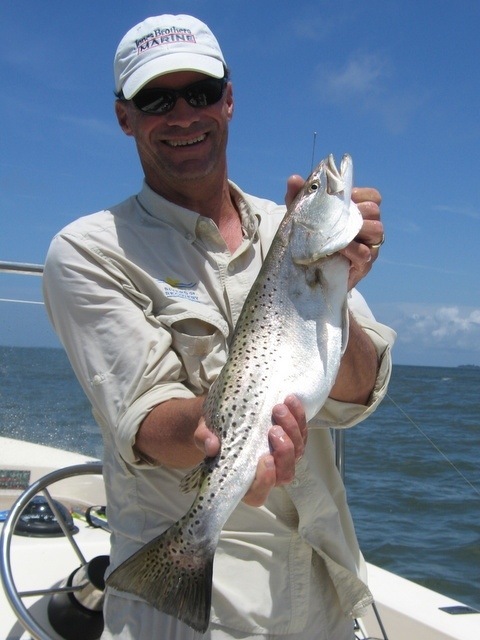 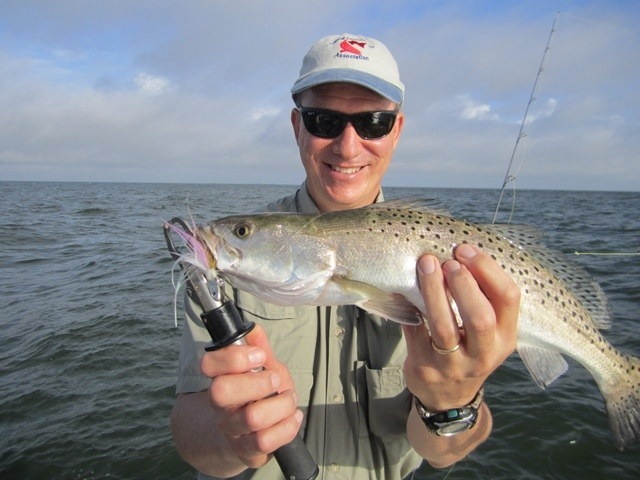 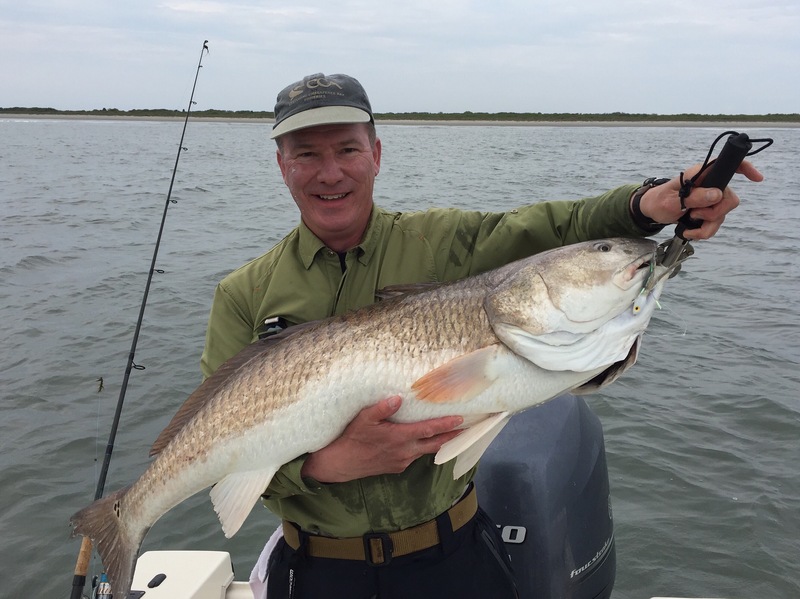 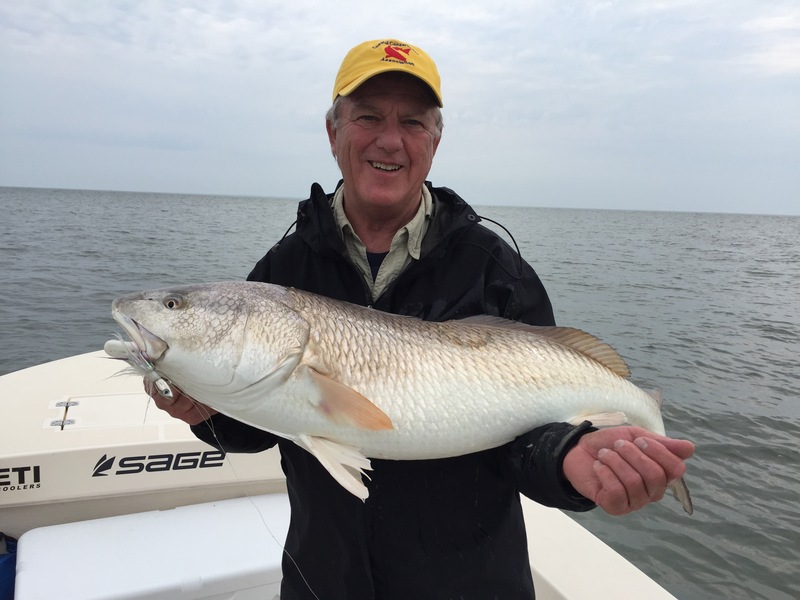 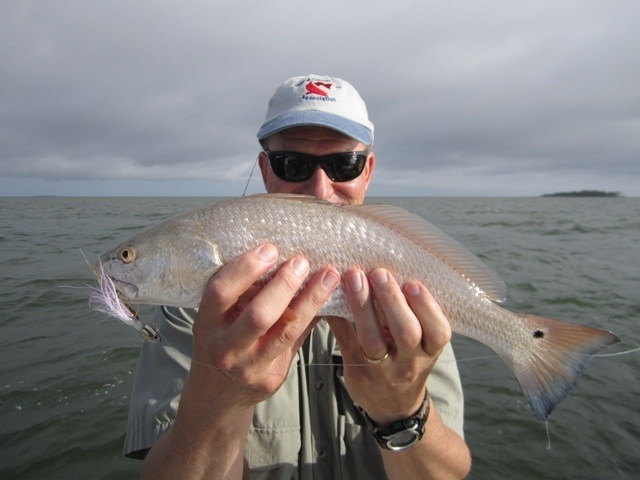 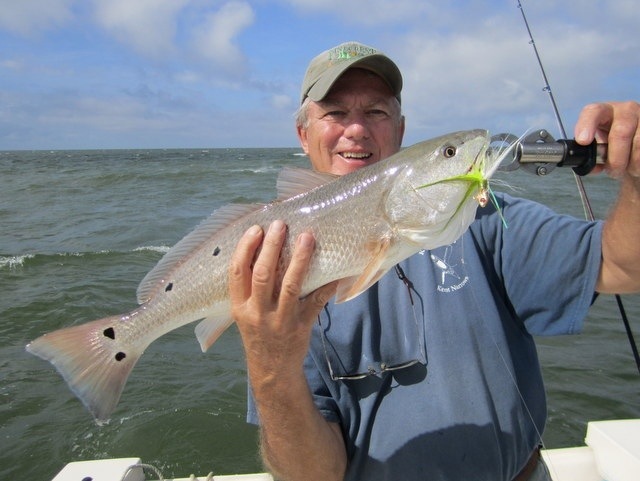 If you have fished the flats, you also know that the fishing can be like Forrest Gump’s proverbial box of chocolates – “you never know what you’re gonna get.” This past spring we experienced a handful of days (five to be exact) of some of the hottest fishing the flats can provide. 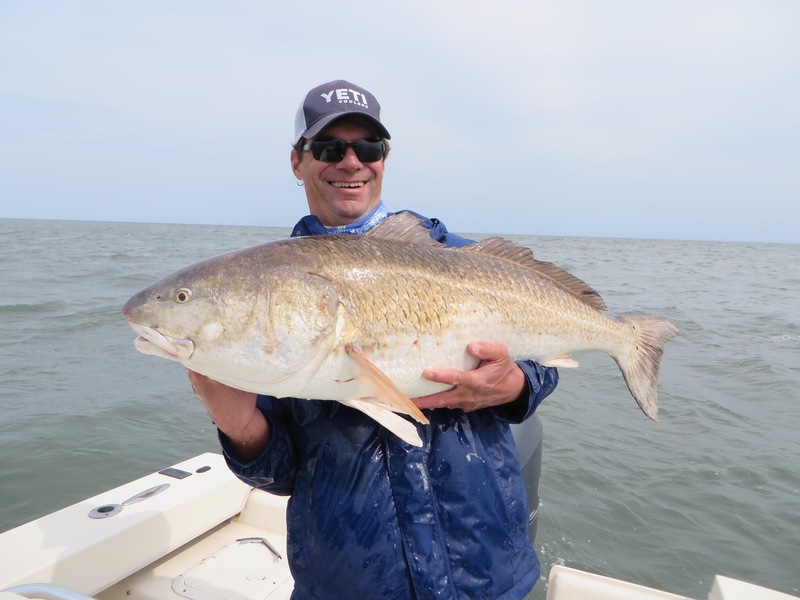 Rockfish up to 43-inches provided consistent action in water no deeper than six-feet, exciting light-tackle fishing to say the least. 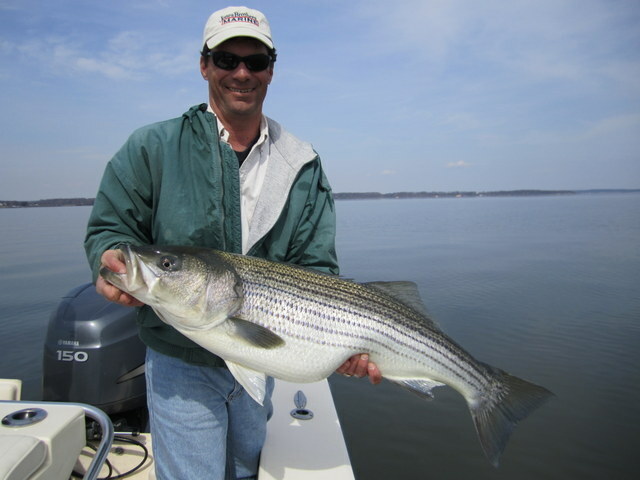 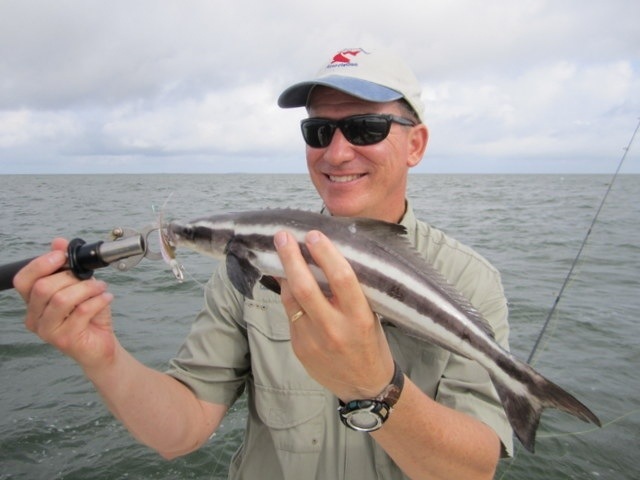 Then we had an early spawn and the stripers vacated the flats for over a week, and never really returned in numbers. 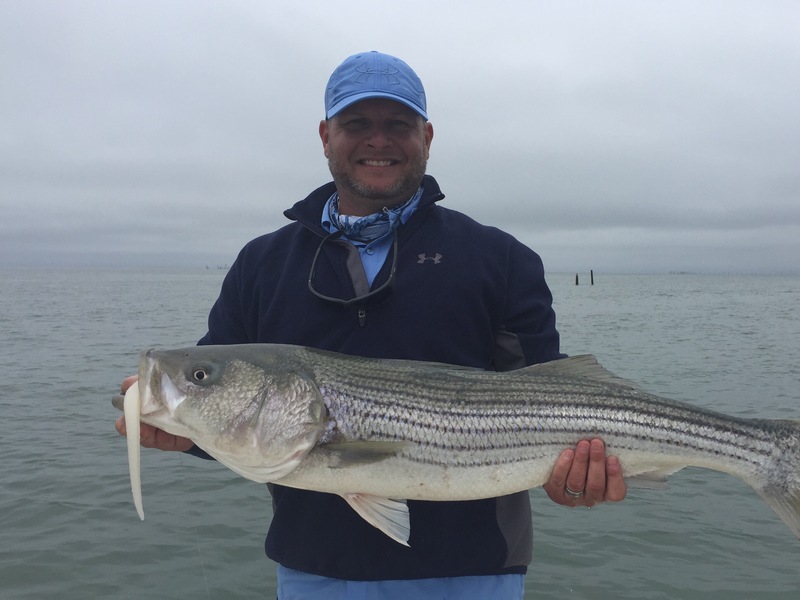 The remainder of the season was spent working really skinny water, casting to several pods of trophy stripers that ventured back onto the flats post-spawn. 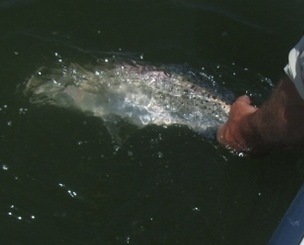 This can be exciting fishing, especially during low-light periods when the large rockfish would crash a surface popper. 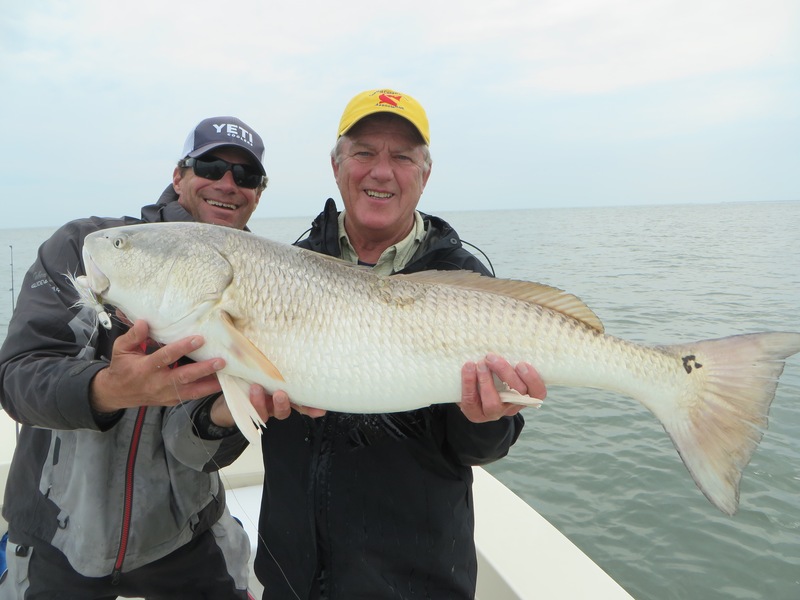 There were several days where we did more fishing than catching, but that chance at a real trophy on light tackle kept people’s interest. 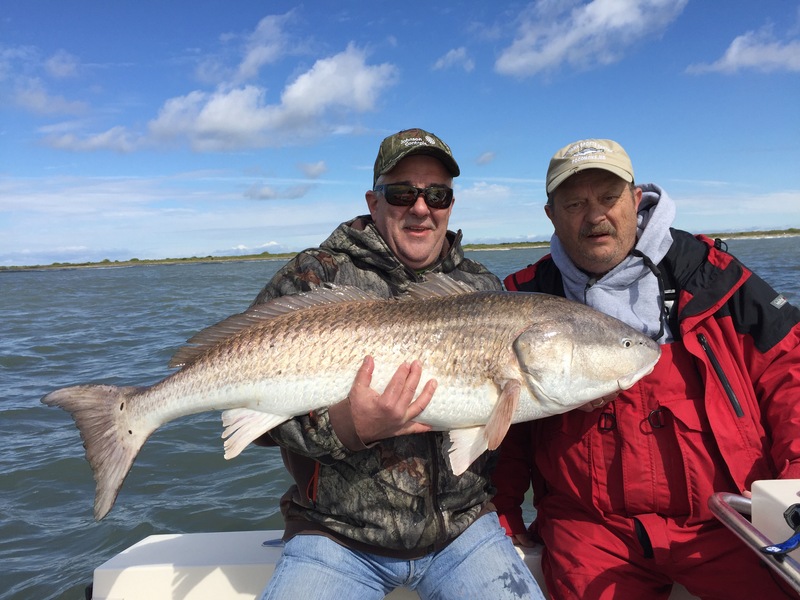 That said, you can book your trip today with the assurance that should the rockfish decide to play hard-to-get, I will inform you ahead of time so you can decide for yourself if you wish to roll-the-dice. 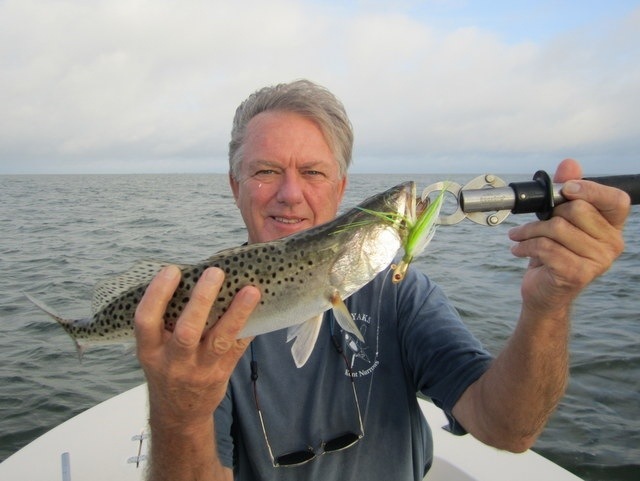 When making your decision, be mindful of the fact that the fishing can get hot with each new tide. 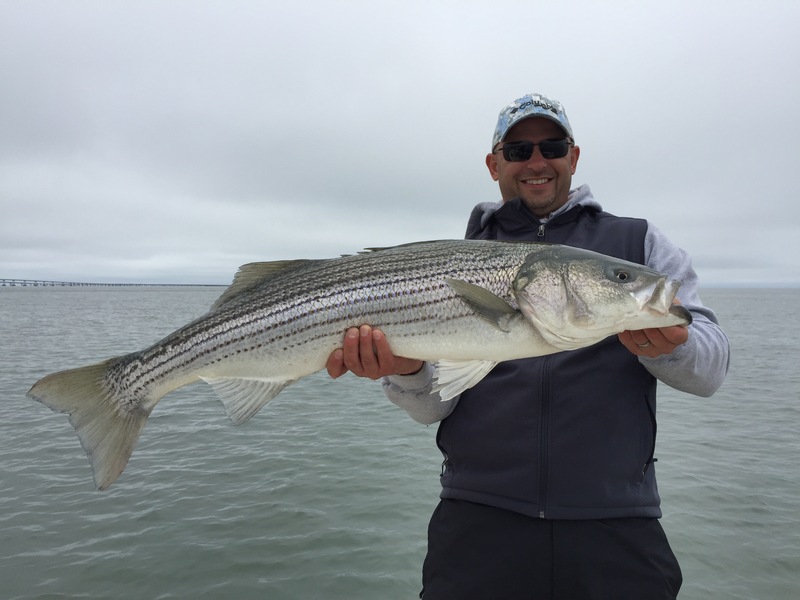 Drop me an email at KJosenhans@aol.com or give me a call at 443-783-3271 if you would like to get in on some shallow water striper fishing.